Look like a professional framer with the U.S. Patented E-Z Jersey Snap Shut Display Case System. This jersey case is simple to hang and takes up 35% less wall space. After the hockey jersey is in place using the clear acrylic jersey hanging system, snap on the Genuine Mahogany Wood framed face and your masterpiece will be complete. Includes a custom beveled and cornered 1.75" black mat that will greatly enhance your prized jersey and your favorite NHL team logo. Measures 34 Â½âW X 2 Â¼âD X 28âL. Jersey not included. Made in the USA. This University of Toledo 16 inch Diameter Stained Glass Tiffany Lamp is an incredibly high quality ..
Slide into home with our 9 Ball Home Plate, Cabinet Style, Wall Mountable Display Case with a real b..
You are going to get a Penalty if you do not love this case! Our ultimate 12 puck case has hinged si.. This Stanley Cup Champions Frame celebrates the 2003 Carolina Hurricanes and includes: Headlines tru.. Celebrate Peyton Manning becoming the NFL All-time touchdown passing record leader with this framed ..
Batter Up! Display your favorite autographed bat in this wall mountable, natural, 1 5/8" wood profil.. The Removable Face Jersey Display is the newest technology in jersey display cases. This MLB License.. This 8'' x 10'' photograph has been personally hand-signed by Vladimir Tarasenko. It is officially l..
Bring the excitement of the game into your home or office with the Goalsetter Basketball Backboard C.. Celebrate the 1980 Philiadelphia Phillies as World Series Champions with this commemorative display .. Ultimate collectors football case with a polished mahogany finished acrylic and gold risers. Include.. This 16'' x 20'' photograph has been personally hand-signed by Henrik Zetterberg. It is officially l..
Don't pick and choose, display all 30 baseballs in this beautiful, MLB Licensed, wall mountable disp.. The NCAA Dart Board Cabinet is made in the USA from maple and is available in your choice of Black, .. 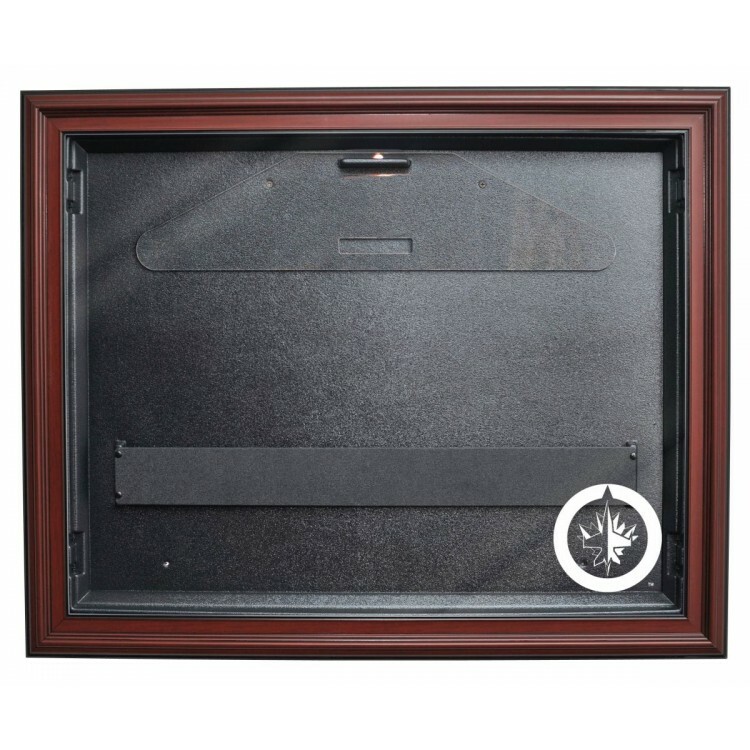 The Detroit Tigers 30-ball display case is made of 1/8"-thick acrylic with a black wood frame. It fe..